We all hate that muffin top. It is so easy to get, and again so hard to get rid of. 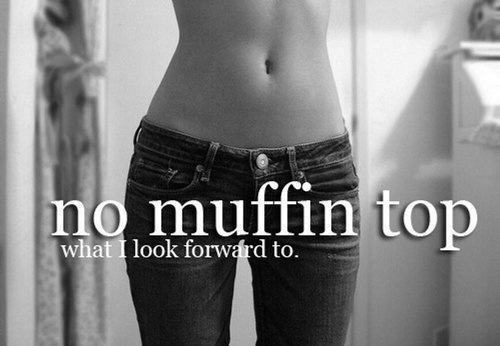 So, because of that, I will give you some tips on how to get rid of the muffin top once and for all! I will not tell you that it is easy because it isn’t, and I will not say that it will be gone in a short amount of time because it won’t. It requires commitment and discipline and it needs a lot of time, but be patient and you will do it! Now let’s get started. First of all, in order to get rid of the muffin top, you have to clean your diet. That means that you have to lower the fats you are eating and replace them with clean protein food. Eating clean and consuming healthy food, filled with fruit, vegetables, proteins and fibers can make your muffin top disappear. Without cleaning your diet, you will never get rid of it. Remember, healthy means delicious. You can check the perfect eating plan here The Yummiest & Healthiest Eating Program. Thinking that certain ABS exercises will help you lose the muffin top is wrong, because they can do nothing for you if you don’t do cardio. To get rid of it you should do a lot of cardio. And a lot of cardio means every single day at least 30-40 minutes or more and 20-30 minutes after your strength training. It is very important for you to be in form. If you are already working on your body fitness, you are half way there. You have to find strength training everyday workout routine because that is also very important in getting to your goal. If you already have discipline and commitment it would be much easier, but if you don’t, you should work very hard to get there. Strength training is the key to getting fit because it curves your body, makes you burn more calories and tone your body. And last, are the ABS exercises. They are the last thing you want to do, because they are nothing without cardio and clean eating. There are millions of ABS exercises, and you can pick several that you like the most. They will tone your core and they will give you the curve, but as I already said the abs exercises are the last thing in the process of losing the muffin top, once and for all. Check out these 8 Cheap Bosu Balls, and do your abs exercise in the comfort of your home! Here are some ABS exercises that might help you. Don’t get me wrong, every AB exercise is good for you, but these are one of the best that you want to do when you target the muffin top. And remember, without the cardio, doing the ABS exercises will be worthless. Bicycle crunches will put a target to your muffin top. 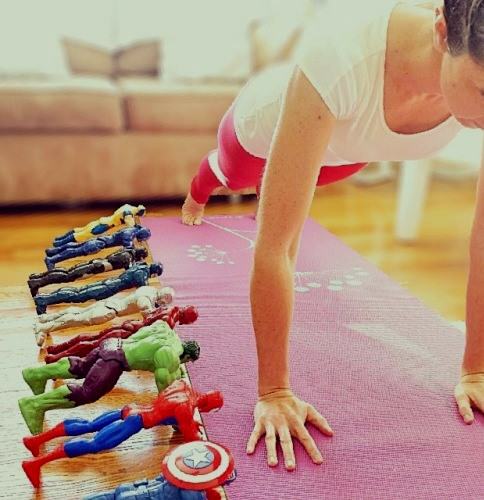 They get your side ABS and that’s what we want. Every single variety of this plank exercise will do the best for you, but I suggest to do the regular plank exercise, or the side plank. Working your obliques not only defines your waistline, it also improves posture, which can help decrease back pain. Start by lying on your back with your feet 6 inches off the ground and your hands by your sides. Pull your navel toward your spine to eliminate the arch in your back. Keeping both feet off the ground and your legs straight, alternate kicking your feet toward the ceiling. Kick with your right leg, then your left leg. If you like this don’t forget to share it with your friends! I am sorry but I can’t answer you that one, because I don’t know anything about medicine, or thyroid cancer. I hope you get well soon faster, because your health is more important than anything! In my opinion it shouldn’t get in the way of your weight loss, but again, I think it would be for the best if you talk to an expert. If your thyroid has been removed then you are of course I assume on thyroid replacement therapy. These hormones provided to you should mean that you have all the hormones required for normal functioning and therefore for normal weight management as well. Consult your doctor for specific details regarding this. Can you recommend some back friendly ab exercises please?